A phrase that has enriched Kenya’s culture for decades as part of greetings, Hakuna Matata, is now a legal property of American company, the Walt Disney Company. 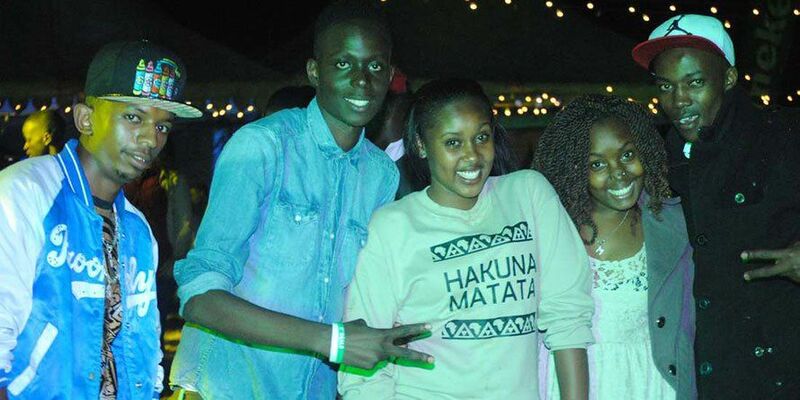 This is after the company filed a federal trademark registration for ‘hakuna matata’ under the serial number of 74558335 and was granted the trademark vide registration number 27006605 for use on clothing. 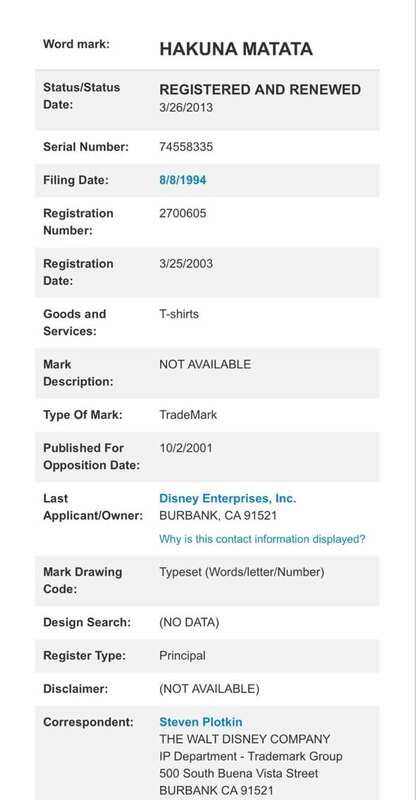 This means that the phrase cannot be used by any other organisation without written permission from Disney. The Walt Disney Company first filed to trademark the famous Swahili phrase “Hakuna Matata” which means “No problems” on August 8, 1994. Disney first used the words in the animated film Lion King when Timon and Pumba sang a song with the phrase in it. The popular phrase especially in East and Central Africa was first popularized in 1982 by a Kenyan band ‘Them Mushrooms’ in the pop song “Jambo Bwana”. But what has people talking is, will it be illegal to put on the already famous Hakuna Matata t-shirts? There has been concern over the loss of cultural heritage through the use of intellectual property rights whereby third parties end up owning a piece of a group or community’s culture. Those against the pilferage of African culture over the years want Kenya and the entire East African Community to enhance protection of words that form part of our heritage by applying for expungement of already granted trademarks that contain heritage. Should Hakuna Matata been protected then corporates such as Disney would have been forced to pay royalties. For instance, the Rwandan Government patented a local phrase “ndiumunyarwanda” that saw a third party corporate pay license fees for it to use the slogan. In 1992, Disney opened a restaurant with the slogan, Hakuna Matata Restaurant in Adventureland in Disneyland Paris, France. Brand Kenya which is tasked with protecting Kenya’s heritage and ensuring that the Kenyan culture and heritage is not eroded has remained silent about the slogan, which could benefit the country through royalties in case it is owned by the country.